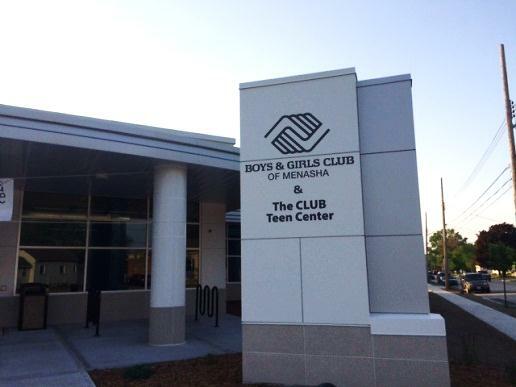 The Boys & Girls Club of the Fox Cities recently celebrated the opening of a new club in Menasha, Wis.
Organizers expressed concern that Menasha youth had no place of their own. There were no comprehensive youth development organizations or youth centers located in the City of Menasha, yet the Menasha youth population has arguably the greatest need in the Fox Cities. “This was an area in desperate need of some assistance, as there were more than 60% of youths in the area living below the poverty level,” said Stephen Tramp, market president of Associated. Lending a helping hand, Associated entered into a multi-year commitment to contribute a total of $50,000 to the organization. This donation will support the new center as well as its many programs. All major donors were recently invited to attend the open house event, were speeches were given by John Bergstrom, chairman and CEO of Bergstrom Corporation; Greg Lemke-Rochon, director of the club; and a representative of the Boys & Girls Club of America. The new $9 million facility was entirely funded by donations and is almost 34,000 square feet. A teen center, stem and robotics lab, dance studio, cafeteria and gymnasium are just a few features the new club offers. Studies consistently show that Boys & Girls Club programs result in increased academic success, healthier and wiser choices, and an increased chance of further education beyond high school. Associated locations in the Menasha area are currently working with the club to arrange Associated colleague volunteer opportunities.